Agents of Mayhem release day drop.. If you were a fan of Saints Row, you might be a fan of today's release from Deep Silver Agents of Mayhem. The new third person action/adventure title is priced at the usual $60 for all platforms, but PC gamers are getting the best price with a 26% drop at Green Man Gaming. There you'll plug in coupon code AUGUST10 to save over $15, making the best price online from an authorized retailer and an impressive discount on the game's release date. Steam key. 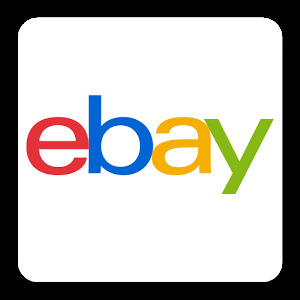 If someone were to tell you they had a 20% off coupon for eBay, you might get excited, then let down when you realize it only works on a handful items, most of which are cosmetics. When coupons of such scale come out, that's usually how they work, and so it is with the latest 20% off coupon code - an impressive percent off, but only valid for a few select retailers. That said, we did find a few hot gaming related deals. There's a rare $50 price break on the PlayStation VR headset, an Xbox One Battlefield 1 bundle with extra controller for $249, and a coveted HP Omen 32" 1440p gaming monitor for only $260. 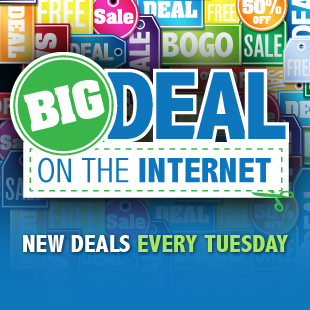 The coupon is only valid through August 16th, so you'll need to jump on the deals quickly. We reported on the Bundle Stars Summer Sale last week, and while many of those deals are still going strong, this week the sale has added new titles and switched genres. It seems strategy game titles are what's hot in the sale this week, with new low prices on Stellaris, Hearts of Iron IV, and Total War: Warhammer - all $60 games under $20. A full breakdown of the sale can be found here, with the top deals listed below. Be sure to plug in coupon code SUMMER10 at checkout to get the best price. Agents of Mayhem (Steam) - $44.27. Released today. List is $60. Deal expires August 20. The PS4 Download is $53.99 at GMG for North American customers. Sudden Strike 4 (Steam) - $38.24. Mega Man Legacy Collection 2 (Steam) - $14.30. Released August 8. List is $20. Batman: The Enemy Within - The Telltale Series (PC Download) - $18.99. Released August 8. List is $25. The Escapists 2 (Steam) - $15.29. Releases August 22. List is $20. Deal expires August 20. XCOM 2: War of the Chosen (Steam) - $29.99. Life Is Strange: Before The Storm (Steam) - $15.29. Releases August 31. List is $20. Deal expires August 20. NBA 2K18 (Steam) - $46.79. Marvel Vs. Capcom: Infinite (Steam) - $39.03. Releases September 19. List is $60. Tyranny: Overlord Edition (Steam) - $26.63. List is $74. Deal expires August 22. No Man's Sky (Steam) - $23.99. Fallout 4 (Steam) - $12.95. List is $30. Deal expires today. Batman: Arkham Knight (Steam) - $4.49. PSN Credit $50 (PS4 Download) - $45.00. For Honor (Xbox One) - $30.00. List is $60. Deal expires August 22. Final Fantasy XV (Xbox One, PS4) - $29.99. List is $50. Deal expires August 19. Steep (PS4, Xbox One) - $29.99. Mass Effect Andromeda (Xbox One Download) - $27.99. List is $40. Deal expires August 22.